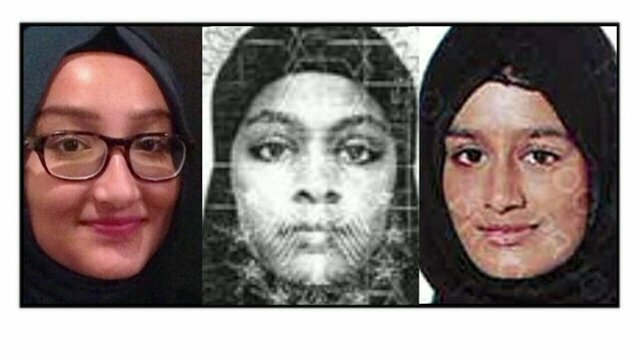 ISTANBUL, Turkey – A close-circuit television footage appears to show three British girls, all of whom are believed to be heading for Syria to join Islamic State (IS) militants, waiting at a bus station in Istanbul before they are seen traveling to a Turkish town near the Syrian border, as reported by USA Today. Kadiza Sultana, 16 years old, Shamima Begum and Amira Abase, both 15 years old, boarded a flight from London to Istanbul last February 17. After arriving in Istanbul, the girls are thought to have entered Syria immediately. British police, as well as each of their families, have launched urgent appeals for the teens to return home. The video shows the three girls entering a bus terminal in Bayrampasa district of Istanbul, a European side of the city, which the teenager girls reached by metro from the airport. The teens are seen wearing winter coats on top of their niqabs, while two of them with hoods pulled up and carrying luggage as they wait. The footage was recorded in the early hours of February 18, less than 24 hours after the girls left their homes in east London. The girls told their families they were heading out for the day. At one point of the video, they can be seen leaving the waiting lounge of the busy terminal along with other passengers, as they walked through a snow-covered path into the departure lounge. Using the time codes on the images, it was deducted that the girls waited at the terminal for nearly 18 hours before they took a bus to Sanliurfa, a southeastern Turkish city close to the Syrian border. Reports said that Turkish police were trying to identify the passengers in the footage who were seen helping the girls carry their luggage at the bus station. Turkey has been under fire from its Western allies as they fail to do enough to stop jihadists crossing into Syria from its territory. However, Turkey accused Britain of failing to provide information about the girls sooner. Deputy Assistant Commissioner Helen Ball, a senior counter-terrorism officer with London’s Metropolitan Police, said that about 60 British women have gone to Syria. Among the women, 22 were reported by their families, including 18 who were aged 20 or younger. The last five reported cases were just 15 and 16. “This is a growing problem and it’s one of real concern. The more everybody involved in travel understands this problem and can be alerted and be vigilant and look out for people, the better,” Ball told in an interview. “Some of these women and girls are very carefully prepared for their travel so they don’t stand out. They take unusual routes and it is very hard to spot them,” she added. At present, an estimated 550 Western women have travelled to join the militants in Iraq and Syria.